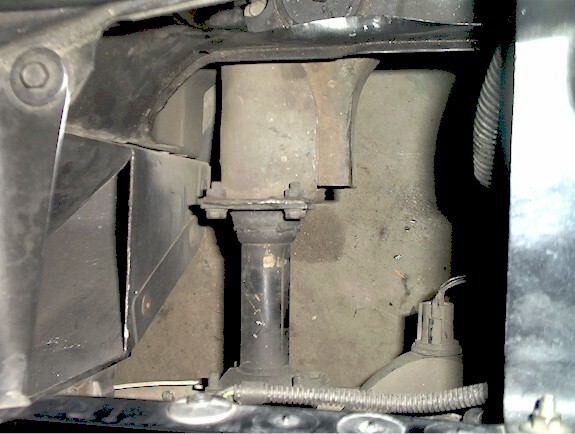 The first was to relocate the air filter pick-up location down lower from it's current position which is just behind the driver's side headlamps. I bought another 90° rubber 4" diameter elbow and this view shows where the filter was relocated just in front of the left front tire. I also had to place a metal baffle between the inner fender and frame rail to prevent backwash from the tire soaking the filter. And yes, the car is dirty in this pic! Please remember, this is a daily driver, rain or shine! I had to test this set-up in the rain to ensure that the filter stayed dry (and it did!). Unfortunately this really didn't change the air intake temperature at road speed. I concluded that the high pressure area in front of the air dam must be enabling hot engine air to be drawn to the area behind the air dam to offset the positive pressure created by the air dam. 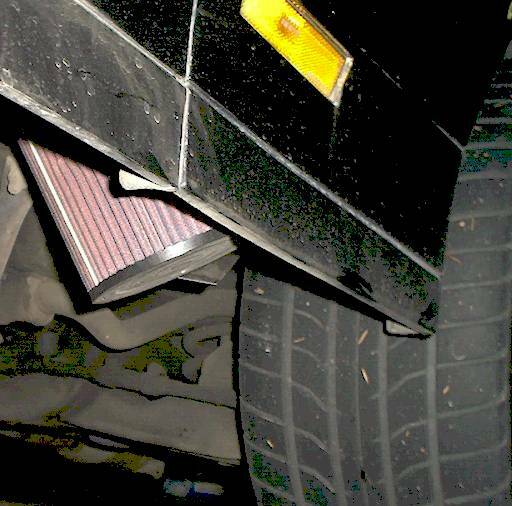 To test this theory I removed the left parking lamp in the lower front facia so that cold air would be blown directly onto the air intake filter at road speed. With the car engine cold I took the car out for a drive to measure the IAT now and it was virtually at the outdoor ambient temperature (about 25° cooler than before)! I did notice that as the car heated up that the temp would come up only about 10°-15° above the ambient temp and cool down a bit again under WOT. 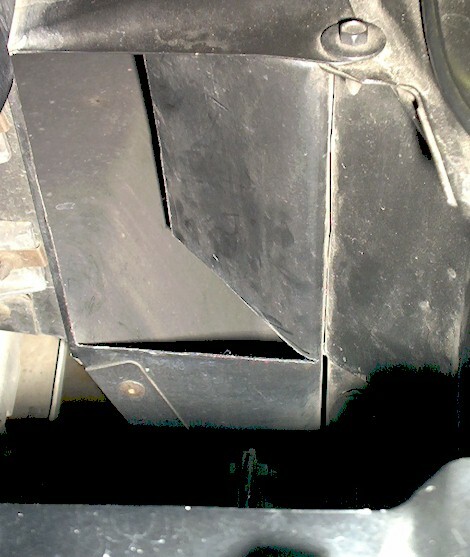 I reviewed several options for directing cold air into my air filter system and settled on cutting a hole into the driver's side of the sheetmetal box which connects the grille to the radiator. Here is a view of the approximately 4" wide by 8" tall hole cut in the sheetmetal using a die grinder with careful attention given to bend the rear portion of the sheetmetal so that air would be directed toward the air intake filter element. Next I had to isolate the engine compartment air from the air filter intake. 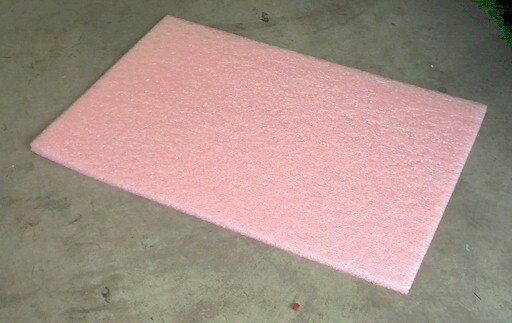 I used Crafter's Supply non-air permeable 3/4" thick foam at a cost of 50 cents a piece for an 18"x24" sheet. This view shows before view without the foam and this view is after with the foam box in place. To make this work I had to stop by a local wrecking yard and buy a section of the front headlamp wiring harness and splice this into my wiring to extend the wires to clear the foam intake box. I took the car out for a drive and noticed good results in the IAT, however, at slower speeds and idling it still drew in large amounts of hotter air. I believed that hot air was being drawn through this intake now due to the close proximity to the radiator. 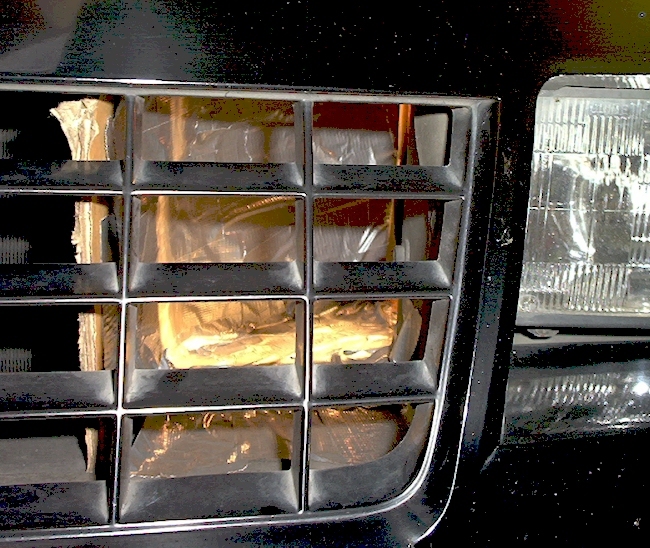 I mocked up a ram air duct proto-type out of card board and duct tape up to the front nose grille to isolate cold air so that it would only come from the grille into the foam air filter box to see if this made a difference. Took the car out again and sure enough, mission accomplished! Once the car is warmed up the temp varies by less than 10° and cools down at WOT! On several dry near freezing days I road tested the car on the freeway on-ramp at WOT and was able to break the tires loose from a 2nd gear 35MPH roll due to the cold air intake! Love it! I loaded up my software and deleted my trouble codes and everything works great! I will be doing more fuel/air/timing fine tuning shortly. I am still waiting for the completion of the merge collector fabrication before I start the header fabrication to minimize vehicle downtime. Hopefully the collectors should be available within several weeks. I also ordered a pair of Car Sound model number 93009 catalytic converters. These are one of the highest flowing CATs available in 3" diameter flowing 482 CFM @ 20" water.